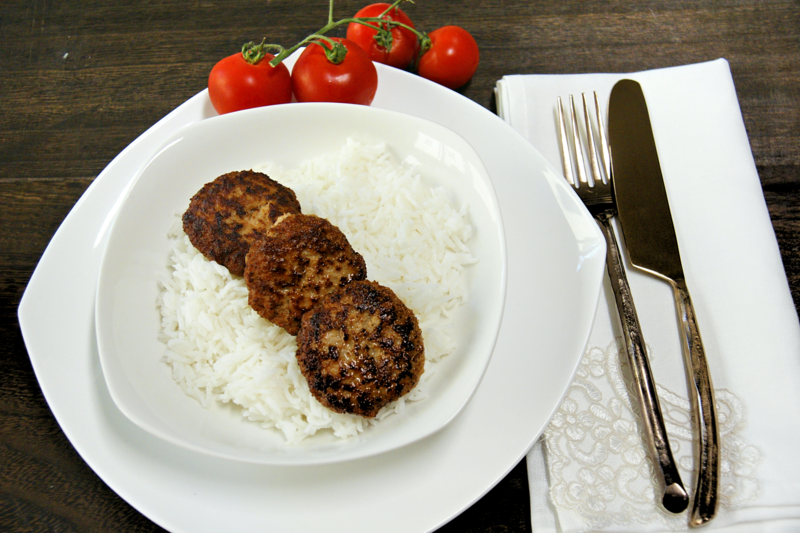 Those cutlets can be served as a separate dish, or with almost any side. They are pretty fast to make, which is very convenient. You can also prepare the mixture, form the shape and freeze them covered in a plastic wrap on a cutting board or a plate. Defrost when needed and cook. 1. Put bread in the blender and pour some milk over it to soak. 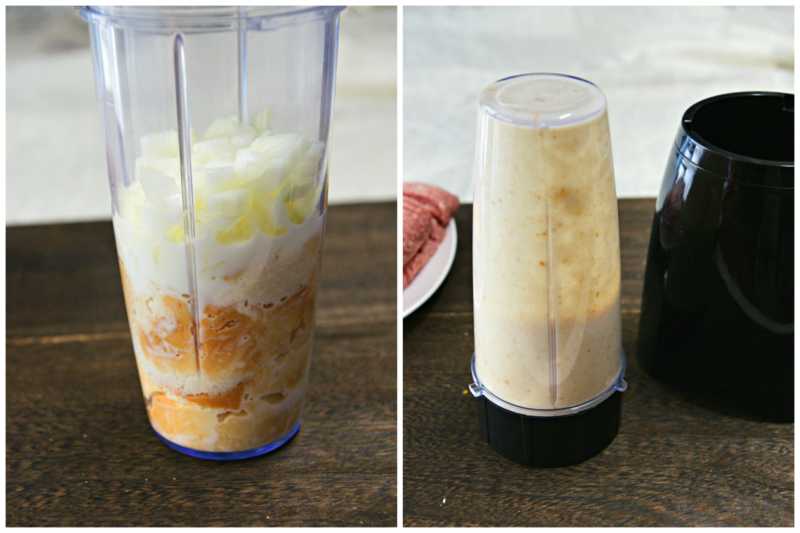 Add a chopped onion and grind in a blender until a homogeneous mass. 2. 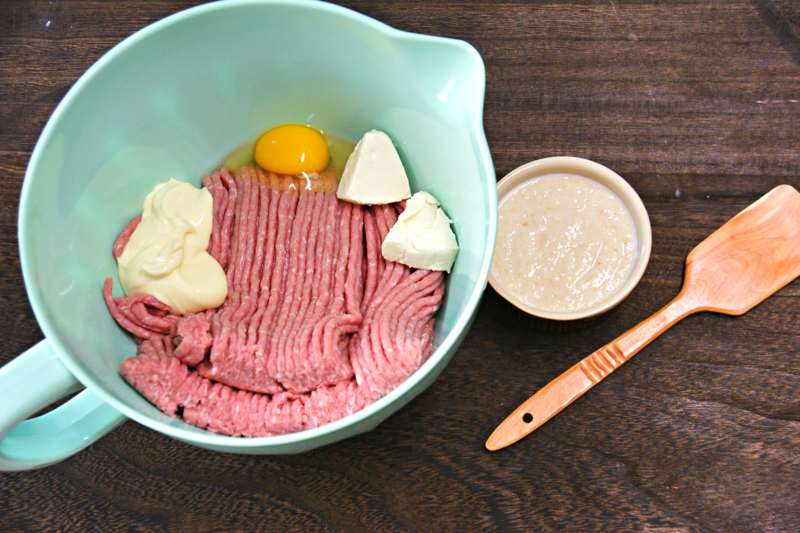 Mix ground meat with cheese, mayonnaise, seasoning, salt and one egg. Gradually add the bread mixture until you reach soft consistency but still strong enough to hold some shape. Add salt to taste. 3. Heat the oil in the pan just enough to cover the bottom, not too much. 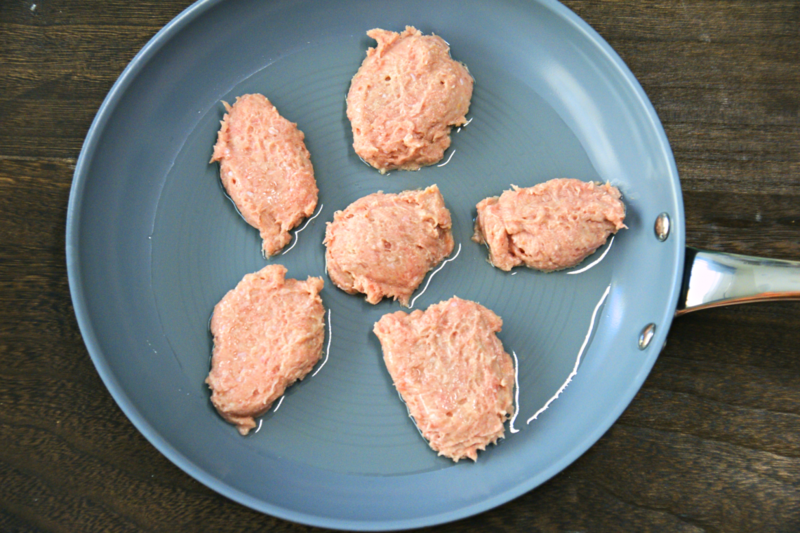 Fry the cutlet on both sides until it has a brownish crust and done in the middle, about five minutes on each side. Do not cover the frying pan. 4. For a healthier alternative you can make them in the oven. Add rice in proportion 1:1. So, roughly, mix in as much rice visually as you have meat. 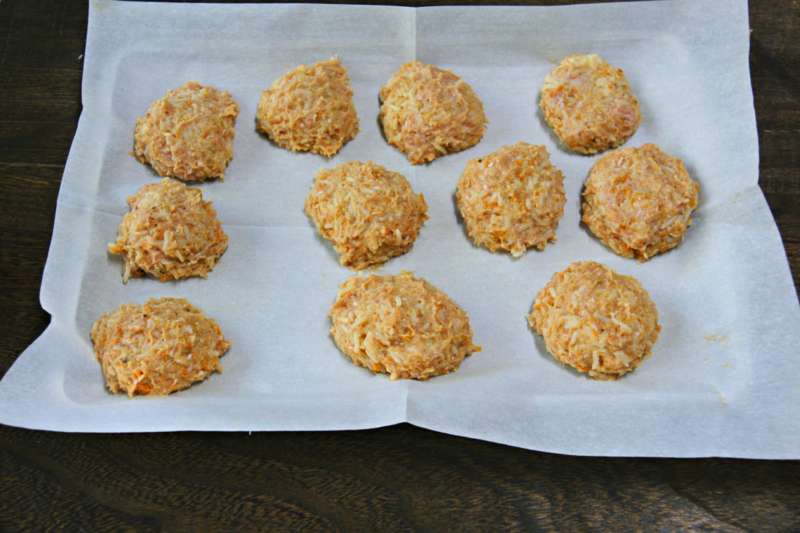 I have also fried one medium grated carrot and added that to the mix. With wet hands create balls and put them on parchment paper. Preheat oven to 350 F and bake the cutlets for about 20 minutes.